M.H. Swanson & Associates offers Independent Wealth Management to clients. Located in Charlottesville, Virginia we provide comprehensive financial planning and investment advisory services. We are an independent financial advisor helping clients with retirement planning, social security planning, investments, tax planning, estate planning, insurance, college funding and small business planning. 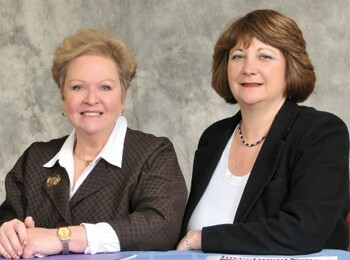 Margreta Swanson, the firm's president is a registered investment advisor agent. Wendy Heifetz, a partner in the firm, is a registered investment advisor agent. She is our Director of Business Development. The firm specializes in helping people dealing with life’s transitions such as divorce, retirement, or death of a spouse, that often trigger the need to re-evaluate and take control of financial assets. We believe that there are opportunities and rewards when you take a proactive approach to your personal financial situation. We’re here to help educate you about the basic concepts of strong and balanced financial management. As part of that goal our website has a variety of financial resources available to help you gain a better understanding of investing, estate and retirement planning, and wealth preservation. Most importantly, we hope you will see the value of working with our skilled professionals to pursue your financial goals. simply send us an email to request one. Did you know that 4 out of 5 people have more risk in their investment portfolios than they realized? Using a new technology called Riskalyze, we can now evaluate the amount of financial risk you are comfortable with, and how much risk your portfolio has with measurable certainty. This allows us to custom design your portfolio and engineer the risk to fit your precise and acceptable risk tolerance level with 95% certainty. The first step is to take the FREE questionnaire by clicking on the button above. The Riskalyze technology empowers us to make sure the Risk Number of your portfolio matches your personal Risk Number. Our FREE Workbook provides you with a resource to keep essential financial records. Includes 11 worksheets to collect and maintain information such as emergency contacts, document locations (both paper and electronic), health, insurance and investment documentation and much more. To get your FREE Workbook from MH Swanson & Associates, simply send us an email and request one. Ed Slott's Master Elite IRA Advisor Group is for investment services only. Ed Slott's endorsement does not extend to the financial planning or investment advisory services offered by advisors at MH Swanson & Associates. Ed Slott's Master Elite IRA Advisor Group members pay a fee for the education programs that allow them to be included in the Ed Slott's Master Elite IRA Advisor Group.